This statistic ranks the preferred provider of a single mobile payment app, according to mobile wallet users and interested-non users who preferred a single mobile wallet app. 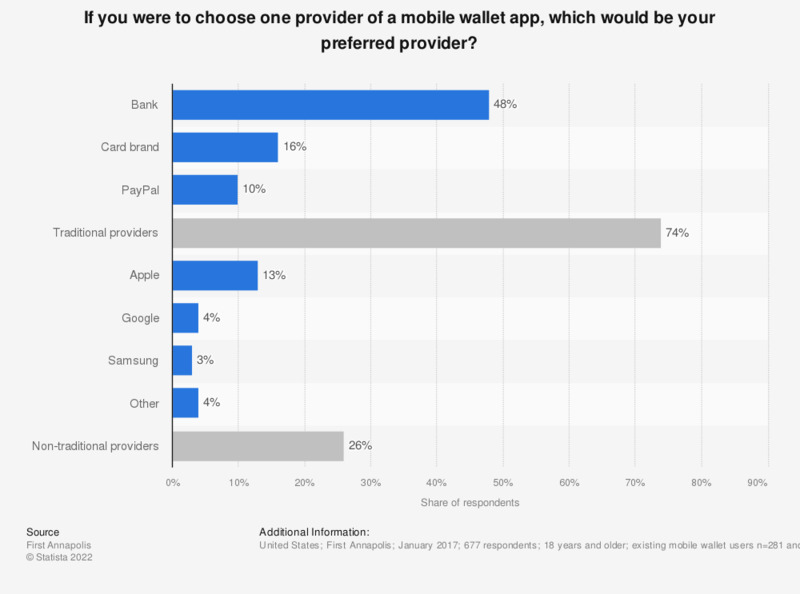 During the January 2017 survey period, 48 percent of respondents stated that if they had to chose one provider of a mobile wallet app, their preferred provider would be their bank. Overall, 74 percent of respondents preferred traditional providers such as their banks, their card brands and PayPal.